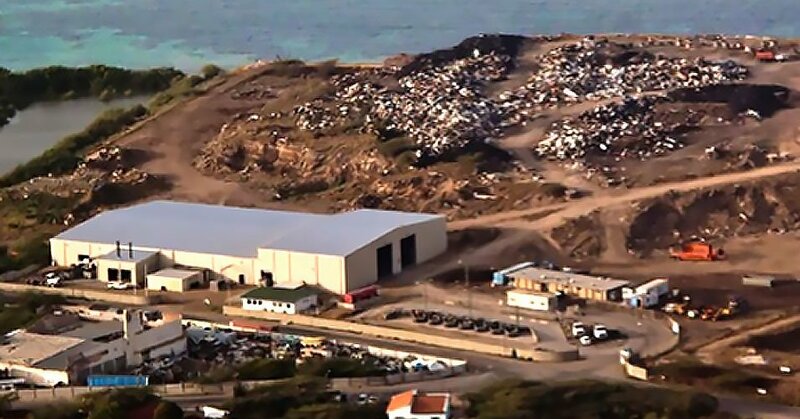 The Anguilla Landfill is located on the south central portion of St. Croix. The 35 acre landfill has been in operation since 1967 and contains waste deposited at depths up to 70 ft. The FAA owns the property and has long demanded the landfill be shut down because of the danger that birds attracted to the landfill posed to planes at nearby Rohlsen Airport. In 2001, the U.S. Environmental Protection Agency (USEPA) issued a consent order duplicate for a long history of violations. CDR Maguire was retained by the Virgin Islands Waste Management Authority (VIWMA) to create and implement an Access Restriction Plan, a Fire Suppression Plan, a draft 40 CFR 258 Compliance Work Plan and Schedule submittal to USEPA Region 2, and the Final Compliance Plan.